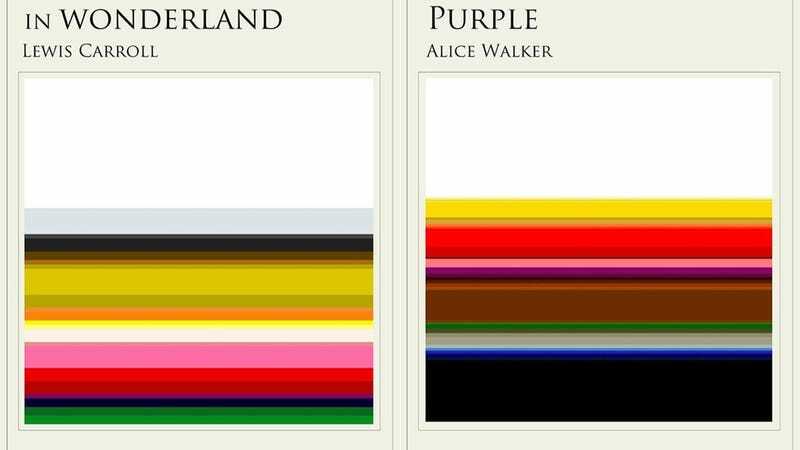 Dude, What If Books Were Just, Like, Colors, Man? What if, like, all word were colors, and all colors were words? Would we be racist against adjectives? Would there be genocide against adverbs? Do you think Taco Bell is still open? British artist Jaz Parkinson created the image for Smithsonian by tallying the number of times Stephen Crane’s classic Civil War saga The Red Badge of Courage mentions or evokes different colors. “I’m interested in showing how the human mind can transform a word of text into a tangible color,” says Parkinson, who has visualized 12 other books and plays. Tripppppy. Let's go read (or re-read, if you're fancy!) all the books.